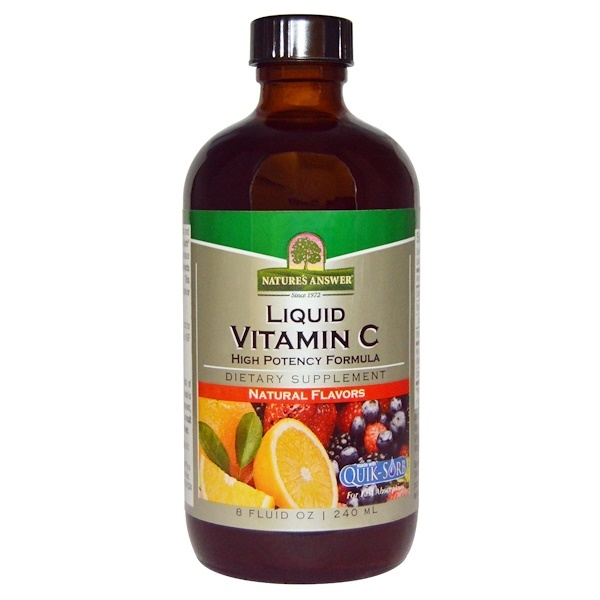 Liquid Vitamin C is fortified with Bioflavonoids and Rose hips for well-balanced support. Quik-Sorb is an exclusive blend of herbs known to enhance delivery of nutrients to the body. Nature's Answer. High-quality natural products for vital, healthy lifestyles since 1972. Our facility is NSF GMP Certified, Organic and Kosher Certified. 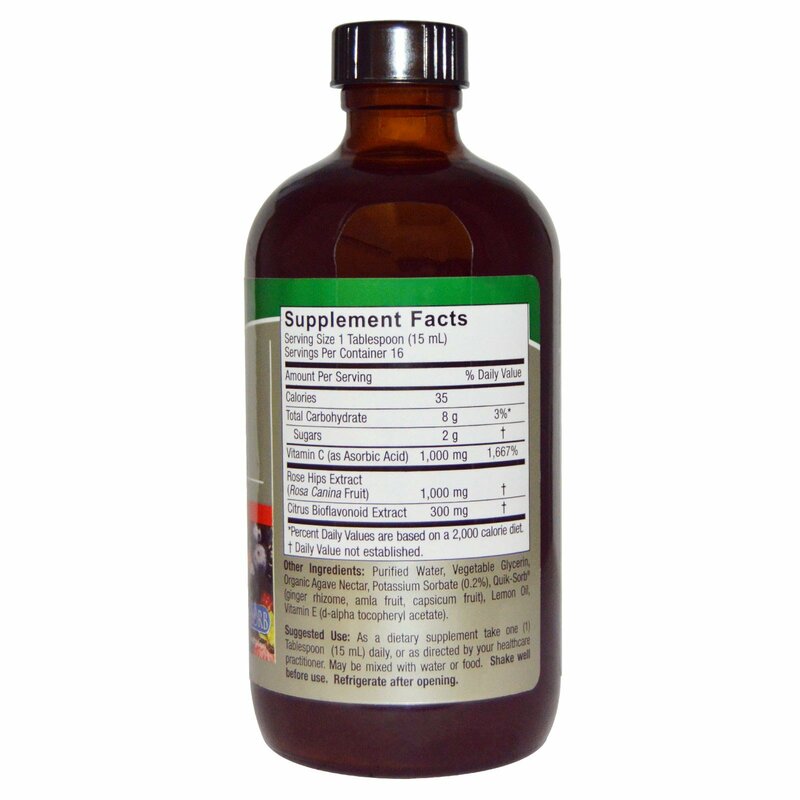 As a dietary supplement take one (1) Tablespoon (15 ml) daily, or as directed by your healthcare practitioner. May be mixed with water or food. Purified water, vegetable glycerin, organic agave nectar, potassium sorbate (0.2%), Quik-Sorb (ginger rhizome, amla fruit, capsicum fruit), lemon oil, vitamin E (d-alpha tocopheryl acetate).